Sign of the times. Follow the signs. Here’s your sign. 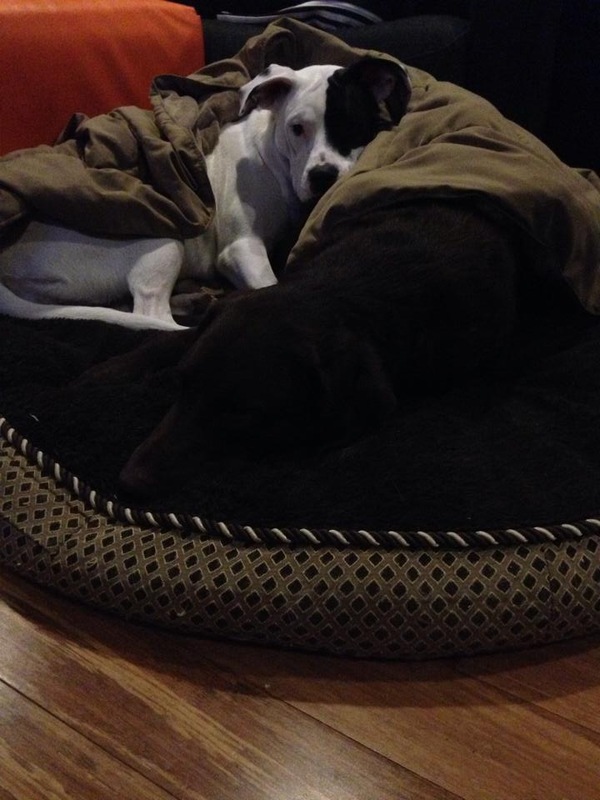 If you flip through my iPhoto library, you’ll see that signs frequently capture my eyes. I like ’em rusty. I like ’em slick. I LOVE them when they’re funny (at least to me). 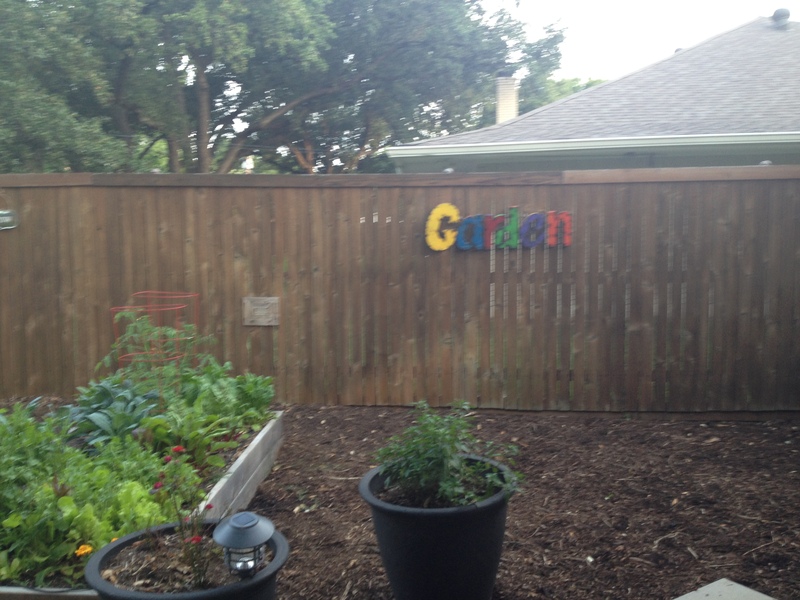 And I really love putting fun signs amongst the veggies and flowers of the Mortroski Midcentury Urban farm. I love how happy it is—so cheerful and fun. 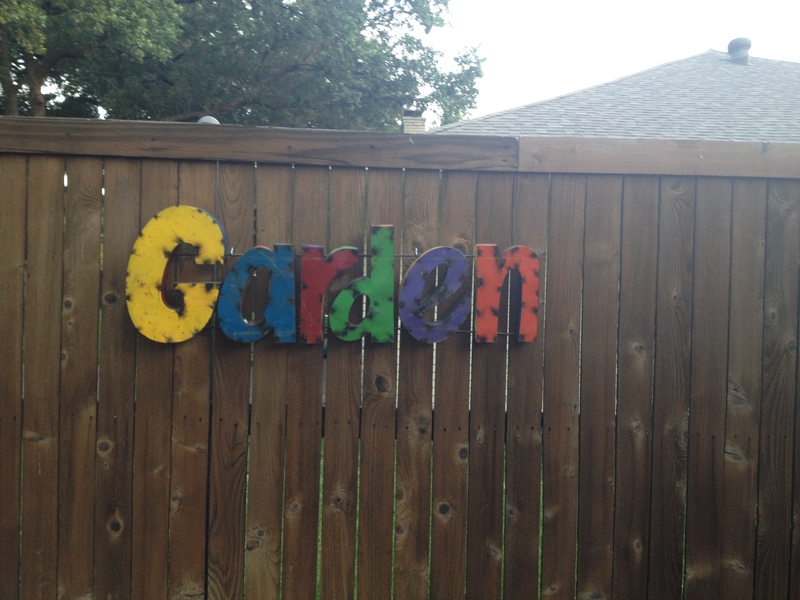 And the primary colors are really nice on the wood fence. 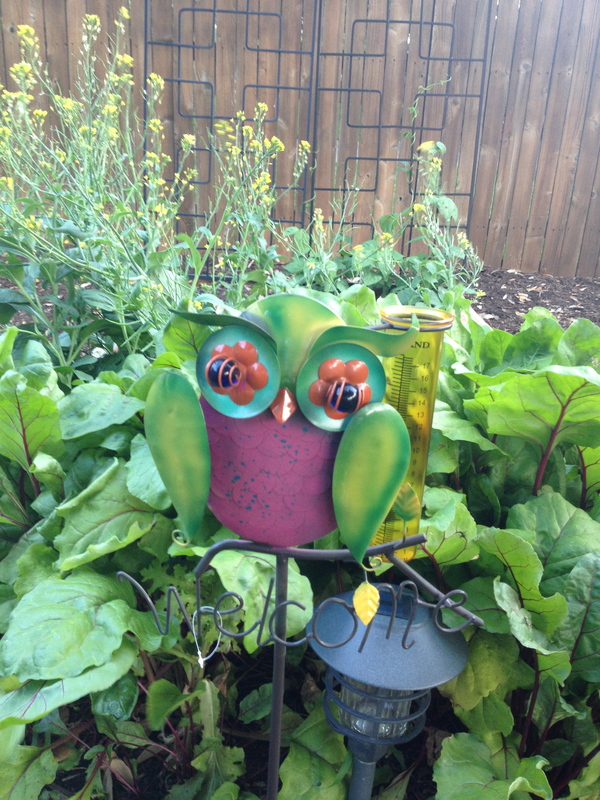 One more happy addition is our new garden owl. Not only is he a wise old welcome sign, he’s also a rain gauge (the yellow glass tube) which will be fun to see fill up during our wacky Texas downpours. Here’s hoping for rain very soon! Slowly, but surely, we’ll collect more fun stuff to brighten up the plants. I am looking forward to seeing the evolution. After all, change is the only constant, in life and in gardening.